"The emotional and timbral richness the young musicians brought to [Beethoven's Op. 18 No. 3] brought to mind the old-world approach of the Guarneri Quartet... The Euclid performance was devoted, expert and exhilarating." "The Euclid Quartet played the music's phrases fearlessly, with great surges of energy." Particularly impressive was the electric playing of the Euclid Quartet. Remember the ensemble's name, because it seems an up-and-comer." 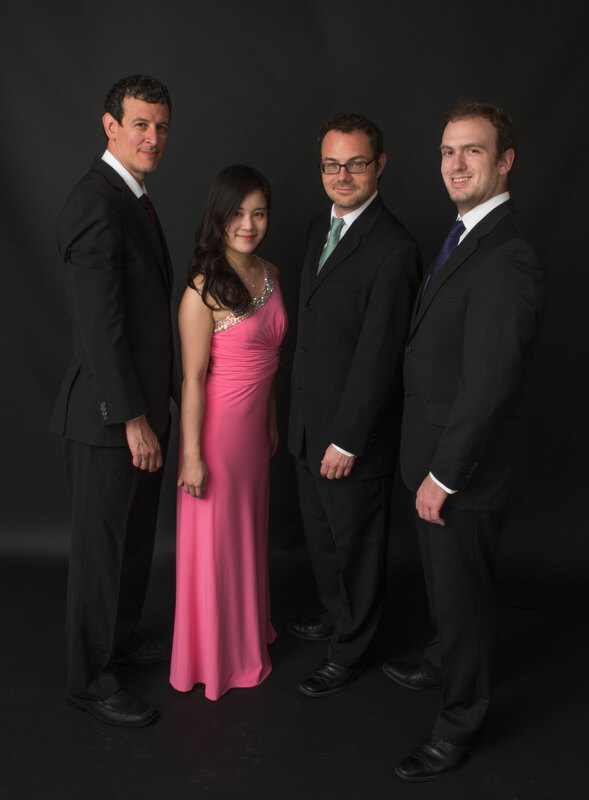 Formed in Ohio in 1998, the Euclid Quartet takes its name from the famous Euclid Avenue in Cleveland, home to a wealth of renowned artistic and cultural institutions. Within three years, the ensemble was awarded the String Quartet Fellowship of the Aspen Music Festival, where it was invited to return for the subsequent summer’s concert season. The quartet was also invited to study with the Emerson String Quartet at the Carnegie Hall Professional Training Workshop. Highlights of the Euclid Quartet’s career include significant global recognition as the first American string quartet to be awarded a top prize at the prestigious Osaka International Chamber Music Competition. Prior to its Japanese laurels, the quartet also won awards in numerous United States competitions, including the Hugo Kauder International Competition for String Quartets, The Carmel Chamber Music Competition and the Chamber Music Yellow Springs Competition. In 2009, the Euclid Quartet was awarded the esteemed “American Masterpieces” grant from the National Endowment for the Arts. The Euclid is a frequent guest ensemble at American and Canadian music festivals, among them those of Aspen, Great Lakes, Kent/Blossom and Orford, while expanded programs have included collaborations with internationally renowned artists, including James Dunham, Gregory Fulkerson, Warren Jones, Paul Katz, Joseph Silverstein and Alexander Toradze. Active in the recording studio, the Euclid Quartet issued, most recently, a pair of CDs, comprising the six string quartets of Béla Bartók on Artek Recordings. The American Record Guide raved about these discs, “rarely has a group found such meaning and vision.” Their debut CD, on Centaur records, features the first four quartets of Hugo Kauder, a refugee from Nazi-occupied Austria who fled to the United States in the 1940s. He defied the atonal trend of his generation with his uniquely harmonic, contrapuntal style.